Indiana has a strong and growing paralegal industry. According to the Bureau of Labor Statistics, the state currently has about 3,720 working paralegals. Thanks to a trend towards more cost-efficiency, paraprofessional jobs are expected to experience a national increase of almost 28%, with 70,000 new jobs created by 2017. The current mean salary for a paralegal in Indiana is about $48,000. The largest employer of paralegals in the state is the legal services industry, with the government and investment sectors also providing legal assistant jobs. There are no licensing or certification requirements for paralegals provided by the state of Indiana. The state has, however, defined and set guidelines on paralegal conduct. 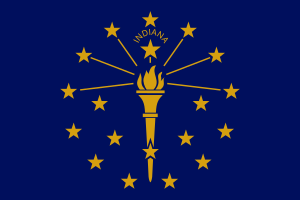 Indiana defines a paralegal as someone who is “qualified through education, training, or work experience,” and who is also “employed by a lawyer, law office, governmental agency, or other entity.” The Indiana Rules of Professional Conduct of Non Lawyer Assistants prohibits paralegals from providing legal advice to clients. Also, paralegals may only work under the direct supervision of a licensed lawyer, who is legally responsible for their professional actions. Legal assistant professionals who ignore this policy risk prosecution. While paralegal professionals in Indiana are not required to receive formal education from an institution, holding a certificate or degree from an accredited and endorsed school gives legal assistants a competitive edge when applying for jobs and receiving a higher salary. For legal assistants who are already employed, some firms may be willing to provide financial support in the pursuit of a formal paralegal certification. The Association for Paralegal Education (AAfPE) recommends that aspiring paralegals invest in a quality certification program that takes at least 60 course hours to complete in addition to an internship. The AAfPE also advises against taking very short courses. While distance learning has its advantages, the AAfPE recommends that students avoid taking paralegal programs with classes offered solely online. Students earn their paralegal certificate or degree when they pass an approved certification exam. Paralegal professionals and students should also consider joining an official organization, such as the Indiana Paralegal Association, for networking and job availability benefits. The American Bar Association (ABA) provides regulation and certification for the law industry. While some quality paralegal programs have not sought endorsement from the ABA, an approval from this association ensures a program’s credibility, and many firms will only hire paralegals with a certificate or degree from a program that has been endorsed by them. The US Department of Education is run by the government and provides a school’s accreditation, which is different from an ABA endorsement. An accredited institution is proven to be legitimate, and many employers require a certificate or degree acquired from one. Other employers may not have guidelines about where paralegals receive their education, but if possible, students should try to attend a school that is both accredited by the Department of Education and endorsed by the ABA. Ball State University is a public university located in Muncie, Indiana. Their Legal Assistance Studies of the Department of Political Science offers both associate and bachelor’s degrees for paralegals. Saint Mary-of-the-Woods College is a Roman-Catholic liberal arts college located in Saint-Mary-of-the-Woods, Indiana. Students can earn an associate’s degree, bachelor’s degree or a certificate from the school’s Paralegal Studies Program. While 90% of the program is online, students are still required to take 10 course hours in a traditional classroom. Vincennes University is the state’s oldest college, established in 1801, and is located in Vincennes, Indiana. This public institution offers an Associate’s degree from their Paralegal Program, which was first established in 1976.